The great thing about living in the Denton area is we have such a diverse, changing population. Between the two colleges, we are constantly experiencing new residents to our town. Unfortunately, this can translate to more families dealing with lice. As a result of this, consult the right team for your Denton lice treatment. Just visit our treatment center location in either Frisco and get the treatment you need. Children should never feel afraid of lice treatment. Lice Lifters Treatment Centers aim to provide a welcoming environment for children who require lice treatment solutions. We are parents, too. We have children who have dealt with the trouble of lice in the past. Today, we hope to help families cope with lice infestations of their own. At Lice Lifters Treatment Centers, our knowledgeable treatment specialists, also known as Lifticians, work with children daily. Your child will be at ease and lice-free in no time! Head lice infestations often spread from person to person with relative ease. While they cannot fly or jump, lice do travel somewhat faster when in proximity. We often see head lice infestations spread on the playground or classroom, where children are packed together and playing regularly. Thankfully, a head lice infestation is treatable. We use natural, non-toxic treatment solutions that work wonders for eliminating head lice. Your child will be ready to return to school after just a single treatment in our offices! 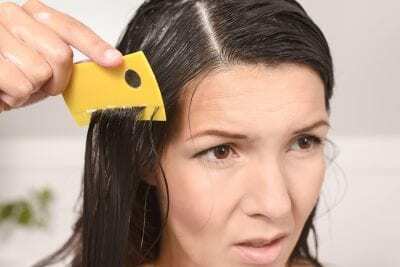 When symptoms of head lice begin, it is often enough to drive us all crazy. The feeling of discomfort is just too much. Lice Lifters Treatment Centers use proven lice treatment products to rid your scalp of lice. After just one treatment in our office, you’ll be lice-free! To complete your treatment, we will send you home with further instructions. It is crucial that you adhere to our directions for follow-up treatment. You’re guaranteed to be lice-free after just a single treatment! Lice are a temporary problem if you seek professional treatment promptly. At Lice Lifters Treatment Centers, it is our goal to rid your scalp of lice in just a single treatment. Once you undergo our non-toxic treatment process, which includes a thorough head check and comb-through, you will effectively be lice free. Of course, we ask that you follow our directions after leaving the office. If you do, your head lice problems will be a thing of the past! Lice treatment in Denton does not have to be tricky or ineffective. Instead, use Lice Lifters DFW with a visit to our Frisco Treatment Center. Then, follow up with at-home lice care. At your home, your family can experience a rather mild and comfortable Denton lice treatment. Just because Denton is ever-expanding, has a great scene, and has growth every single day in families and in the college environment setting, we don’t have to deal with the problems of a growing community. We do not have to accept lice as part of our lives.